There are no shortage of clip-on or snap-on lens kits for iPhones — Apple’s gadget is, after all, the world’s most popular camera by sheer user base. And while Seattle-based Moment is widely considered the top maker of premium, professional quality lenses for iPhones, the lower-priced, entry-level market is wide open and flooded with options on electronic store shelves, Taobao or Amazon. A tiny Hong Kong company with a headcount of just four hopes its new product can win over the market. 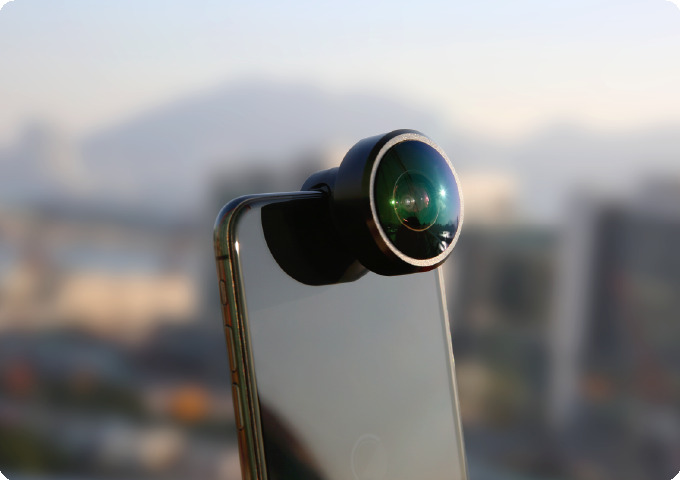 Named the FusionLens 2.0, it snaps onto the top of any notched iPhones (X, XR, XS, or XS Max) and turns the Apple device into a camera that can shoot 360-degree photos or ultra-wide anamorphic photos or videos. The dual capabilities are a unique feature of the FusionLens, as previous snap-on kits I’ve tested, such as the OlloClip or PanoClip, could only do one or the other. The company’s cofounders, Tim Lo and Nicole Or, are no strangers to building tech for iPhones. As the name suggests, FusionLens 2.0 is the second version of a hardware they’ve been selling since late 2017. 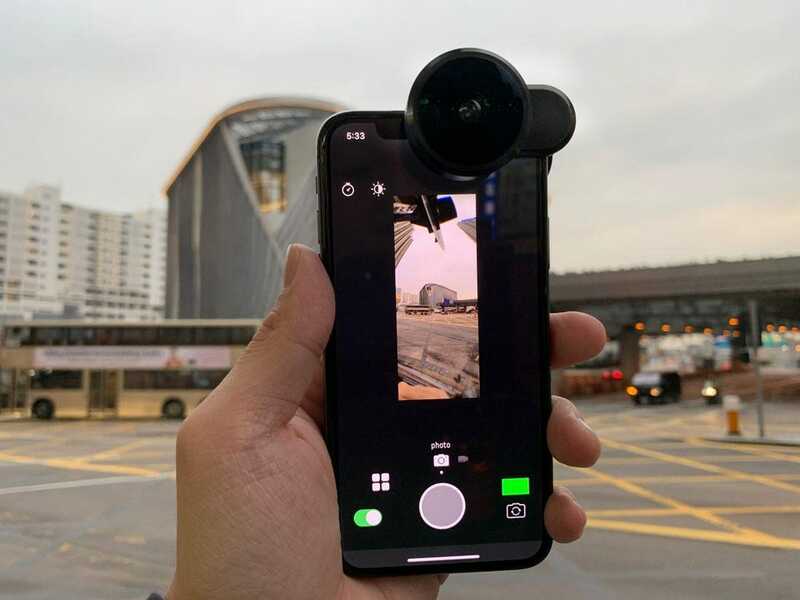 But even before that, in 2014, they built the app Spincle, which allowed users to shoot 360 photos the old-fashioned way–shoot a sequence of images while moving the phone in a full circle, sort of like a panoramaric shot that connects all the way around. 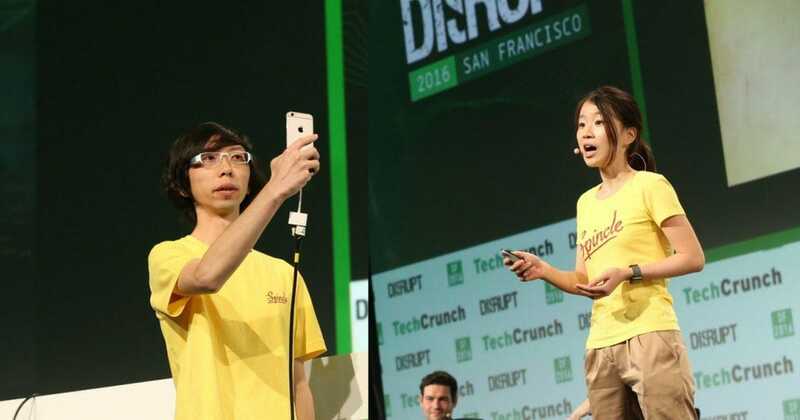 While the app was a modest success and earned the duo a trip to San Francisco to take part in TechCrunch Disrupt, users wanted more. “Although Spincle allowed users to capture their entire surroundings, users said that they would also like to be in the photo,” explained Lo. And so in 2016, the duo, along with two other staff members, designed the original FusionLens hardware, which was then manufactured in Shenzhen production lines. The original kit only allowed users to capture full 360-degree photos, but at least it included the user in the frame, too. It had a successful crowdfunding run on Indegogo and sold in stores around Hong Kong and other Asian regions. But Lo figured there was more the FusionLens’ hardware could do than just stitch together two 180-degree fisheye shots (which is how entry-level 360-cameras work). “Since the lens we use can capture the entire surroundings, what if we used software to produce different kinds of projection methodology?” Lo asked. In other words, wouldn’t an image that covers the entire canvas be cropped and altered to fit users’ needs? And so came the FusionLens app, which uses a software algorithm to do just that. With the new app came the new hardware — the 2.0. This new one keeps the original’s basic idea of a snap-on kit with two fisheye lens on each side that covers the iPhones’ main and selfie cameras, but improves in two crucial ways: Its lenses are now detachable, so users could in theory adopt them to other phones down the line should FusionLens make new bodies; and the current 2.0 hardware is slightly adjustable in size, allowing it to fit either the standard 5.8-inch or 6.5-inch notched iPhones (X, XS, or XS Max) and supports iPhones either in an official Apple silicon case or completely naked. The latter is another practical improvement over other clip-on lens kits I’ve sampled, which only worked with one phone model or requires an iPhone to be uncovered. I tested the FusionLens 2.0 for a day in Hong Kong and it worked as advertised. 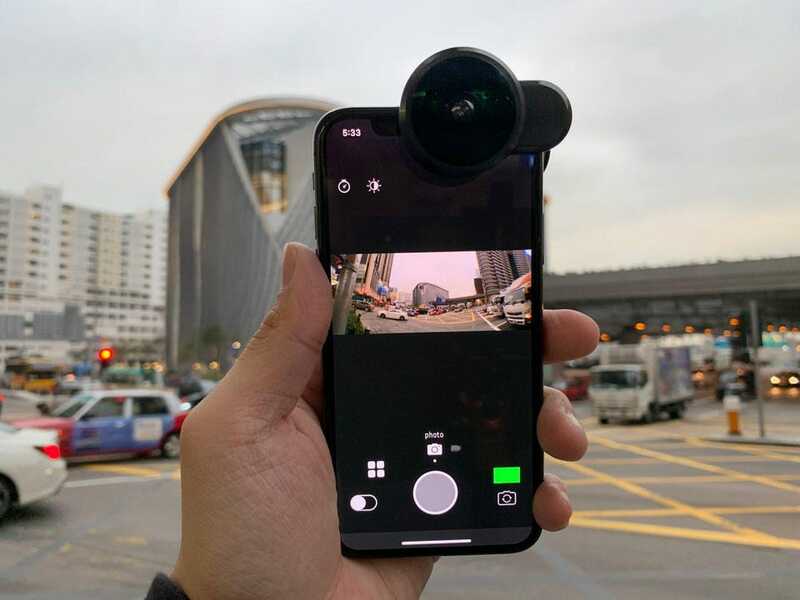 The kit was able to fit over my iPhone XS Max and smaller XS, and with the companion app, it allowed me to shoot photo or video clips in ultra-wide aspect ratio, from the front or back camera. As can be seen in the samples above, there is major distortion when shooting in the ultra-wide 23:9 aspect ratio, and the image has been compressed, so it’s not using the main iPhone sensors’ capabilities. But Apple’s camera hardware was so capable to begin with, even a compressed version still looked okay and more than usable for social media. The app also offers less extreme aspect ratios, such as 16:9, which looks more natural. Switching between aspect ratios or between the front and back cameras only takes the tap of a button, and while the beta app I tested is a bit buggy right now, the design was clean and easy to understand. There’s also the ability the shoot ultra-tall aspect ratios, as seen in the photo above, but the results are highly unnatural. Video recording right now is okay. The iPhone’s built-in stabilization can’t be used with the FusionLens 2.0 add-on, so there is a bit of jerkiness if you’re moving too much. 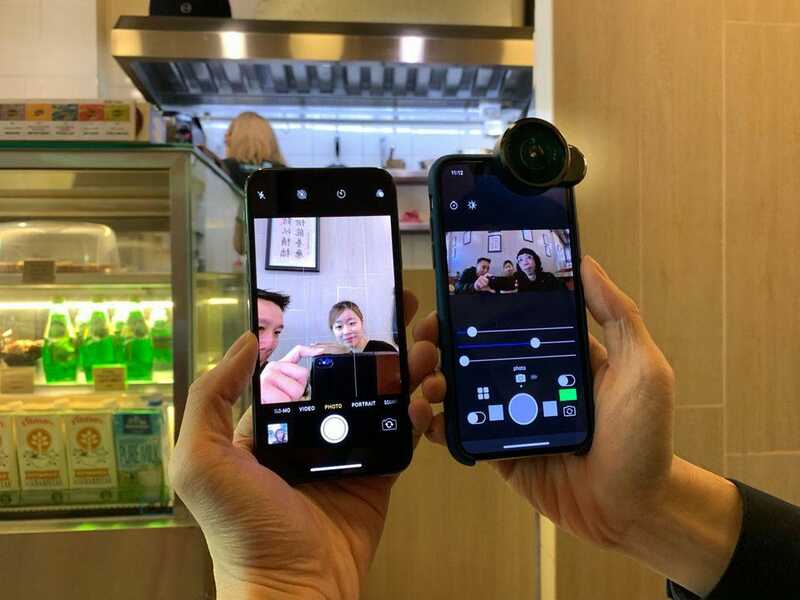 But Lo says the company is working on building EIS (electronic image stabilization) within the FusionLens app, so videos will apparently be smoother. As of now, videos are still more than usable, as can be seen below, just not the smoothest. Still, you’re getting the option to shoot multiple different perspectives from a single add-on gadget that doesn’t cost too much, so I don’t think one can complain too much. 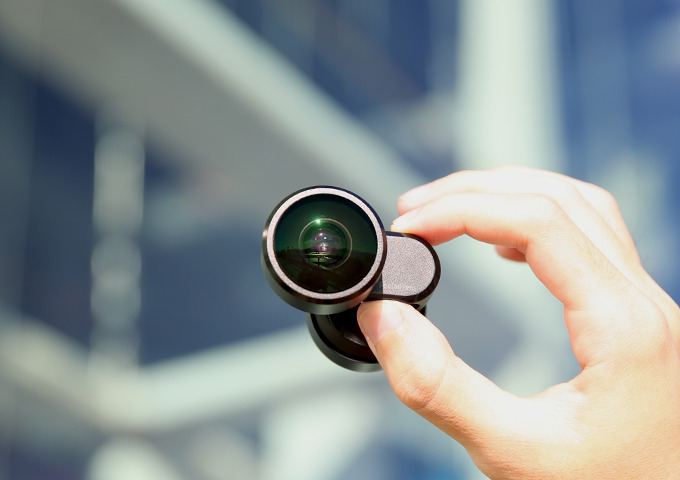 Cofounder Or said the FusionLens 2.0 will soon sell in Hong Kong stores and online worldwide for around $60, and the company is working on global distribution. She said the company is hoping to build bodies for other phones, too, so users can move the lens around different devices. Previous article Our Digital World: is There Still Room for Print?